Searching for magic restorative waters to maintain youth, beauty, and vigor has been a quest for mankind for centuries. Alexander the Great supposedly searched for this mythical fountain around 330 BC as he conquered most of the known world. Later King Prester John ruled a land that was rumored to contain rivers of gold and a Fountain of Youth in the 12th century. 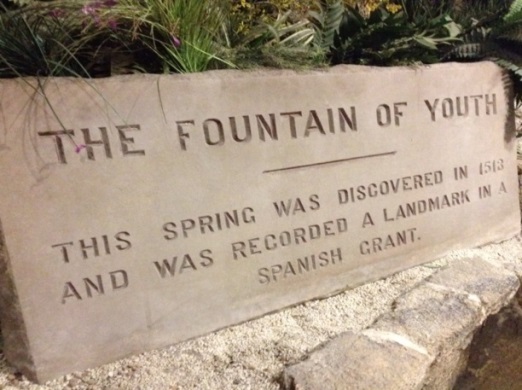 However, the most well-known ‘Fountain of Youth’ was discovered in Florida in what is known today as “the oldest city in the United States”. 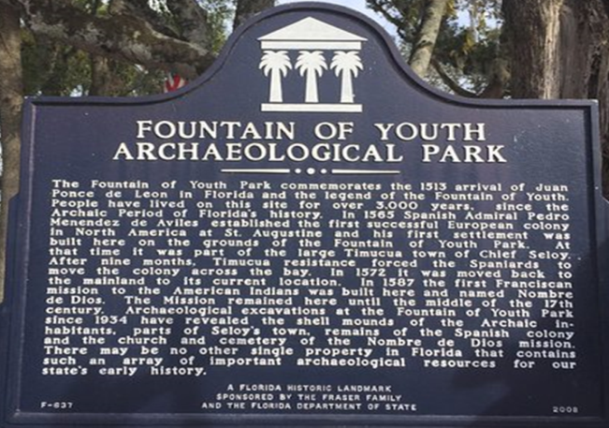 In the year 1513 AD the Spanish explorer, Juan Ponce de Leon, landed in Florida near Saint Augustine many years before the pilgrims landed at Plymouth Rock.Although Saint Augustine itself has maintained its beauty over the years, the folks who drank from its sulfur-rich “Fountain of Youth” are still waiting for the effects of time to unwind. 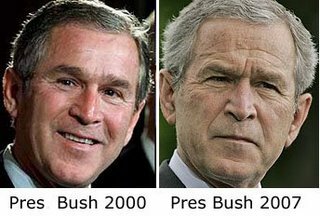 Whether we like it or not, aging is an inevitable natural process. As time marches on, structural volume in our faces will diminish, visible lines will appear, and our skin will become a bit more dry and thin. These changes are part of the natural genetic changes that will occur in everyone that can only minimally be influenced, called “Intrinsic Aging”. However, not all of the factors that affect our skin are genetic. In fact, we have a major influence on many factors through smart healthy lifestyle choices. 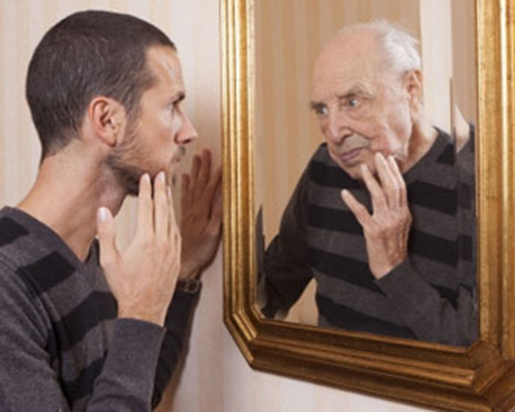 “Extrinsic Aging” refers to the effects from factors that we can control and influence. Smart choices can minimize the effects of father time, especially sun protection. By following these preventative tips, you can help your skin stay healthy and prevent premature aging. 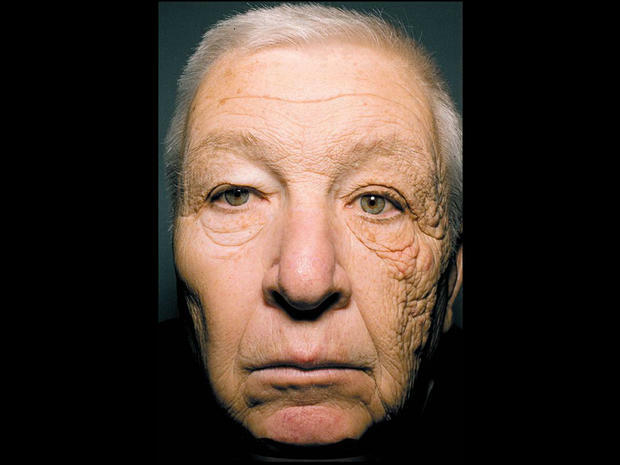 This is a 69 year old truck driver with a 25 year history of sun hitting only the left side of his face as he drove. He did not use sunscreen or photoprotection. 1. Use sunscreen and photoprotection: Daily sun protection is the most important thing you can do for your skin. Whether you’re at the beach or running errands, you should always use at least SPF 30 on all sun-exposed skin. Other tips include hats, umbrellas, SPF clothing, and seeking shade when possible. 2. Eat a healthy diet: Studies suggest that diets high in sugar and refined foods can accelerate aging whereas diets high in fruits and vegetables can help minimize premature skin aging. 3. Sleep: Getting a full night of sleep not only helps you feel better but ensures energy for the day. Studies show that your body is able to deal with environmental toxins better after being rested. Inadequate sleep causes stress and accelerates the onset of fine lines and reduced skin elasticity. 4. Exercise: Exercise most days of the week to boost your immune system, improve circulation, and produce endorphins so your skin looks good and you feel great! 5. Wash your face and moisturize daily: Dirt and make-up on your skin leads to inflammation and irritation accelerating the signs of aging. Use a gentle cleanser daily and trap in the water with a moisturizer to maintain a more youthful appearance. See our post on “Face Washing 101” for specifics. 1. Stop Smoking: Smoking is the number one thing you can avoid to ensure a more youthful appearance. It causes wrinkles, smokers lines, and predisposes you to a myriad of systemic problems, including cancer. 2. Drink less alcohol: Alcohol dehydrates the skin and will make you look much older than you should. While alcohol may remove some anxiety it is a bad idea to drink before bed. Alcohol alters the normal sleep physiology, causes more stress over time, and prevents the normal rejuvenation that sleep should provide. 3. Minimize stress: Stress releases hormones such as glucocorticoids and other cytokines that alters our neuronal function. This can lead to thinner skin, fat re-distribution, changes in our circadian rhythm and sleep cycle disturbances. 4. 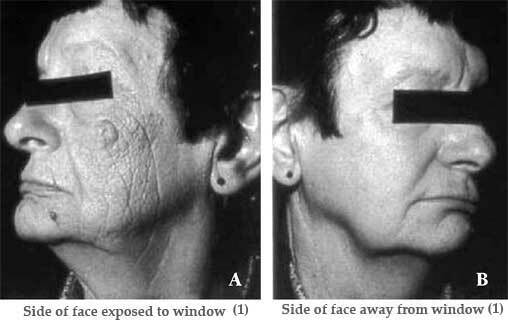 Decrease repetitive facial expressions: Repetitive facial expressions can crease the skin causing permanent fine lines to persist permanently. Consider hats, sunglasses and other photoprotective means to avoid squinting. 5. Avoid tanning: Every time you tan, you accelerate your skin age. Tanning beds are classified as a human carcinogen and emit a very strong focal UV radiation that can lead to ocular cataracts, wrinkles, sagging skin, blotchy skin and discoloration with time. Tanning beds increase the incidence of Basal cell Carcinoma, Squamous Cell Carcinoma, and Melanoma. In fact, people that use tanning beds before age 35 have a 75% increased risk of developing malignant melanoma skin cancer. Aguilera G. HPA axis responsiveness to stress: implications for healthy aging. Exp Gerontol. 2011 Feb-Mar;46(2-3):90-5.